בקניית מוצר זה ניתן לאסוף עד 16 נקודות נאמנות. שווי עגלת הקניות יהיה 16 נקודות שניתנות להמרה לשובר בשווי של ₪3.20. 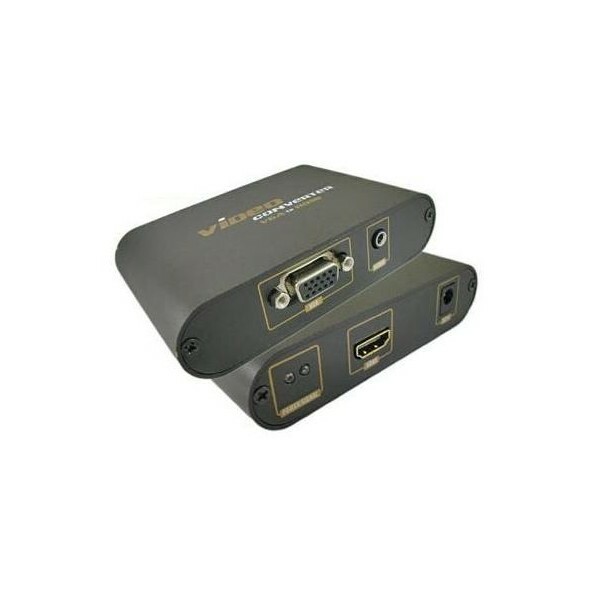 VGA to HDMI adapter can convert general PC signal and audio signal to HDMI format for HD displays.This model is mainly applied for computer,laptop,DVD play,gaming consoles and some other video dvices with VGA outputs.With this converter, you can connect any video sources which come with VGA ouput to large HD screens or HD projectors.The product only changes the signal format from analog to digital, but signal format from analog to digital, but doesn't have impact on the quality of input signal,support maximum 1920×1080 resolution input and output. Blue light states the product is working and can recognize the signal format auto matically. By adopting the latest analog to digital chipest of ADI group, this converter can turn the high definition VGA signal into digital format without losses.